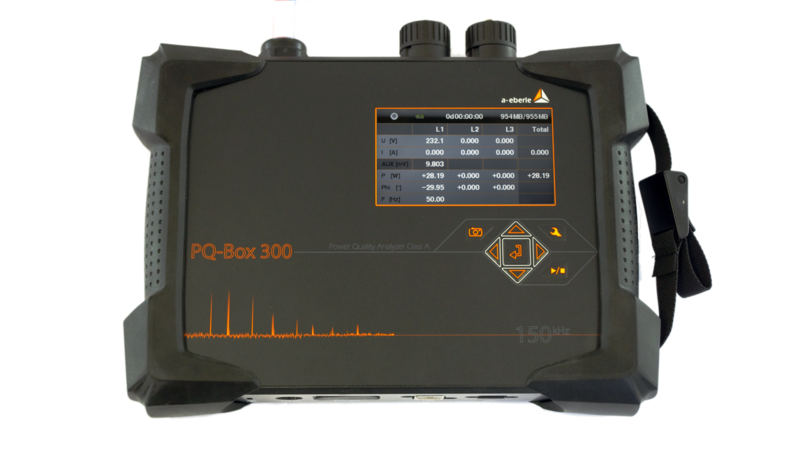 PQ-Box 300 is a high-performance portable network- and frequency-analyzer, power meter and transient recorder in a single device. Usability was the focus of the development. The device records permanently and continuously frequencies up to 170 kHz. 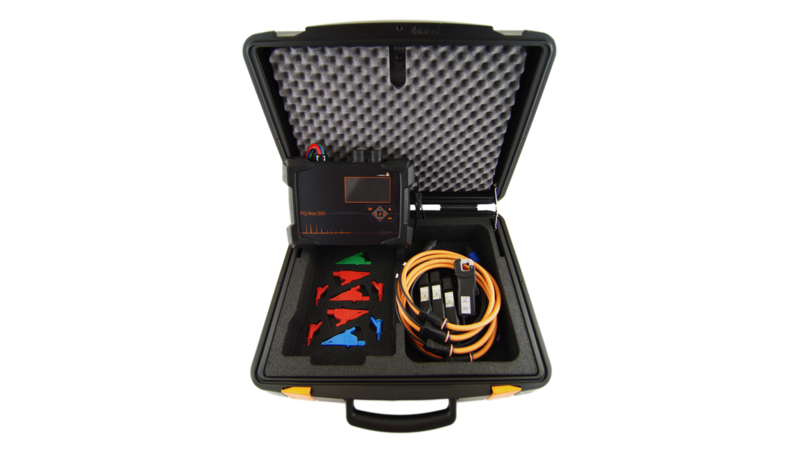 The mobile device has been developed for mobile operation (protection degree IP65). It is applicable for measurements in public networks (CAT IV) as well as for measurements in industrial environment up to 1000V measurement voltage.